Disrespect the locals a few too many times and they may decide to shun you from the local enclaves and relegate you to tacky tourist ghettos. 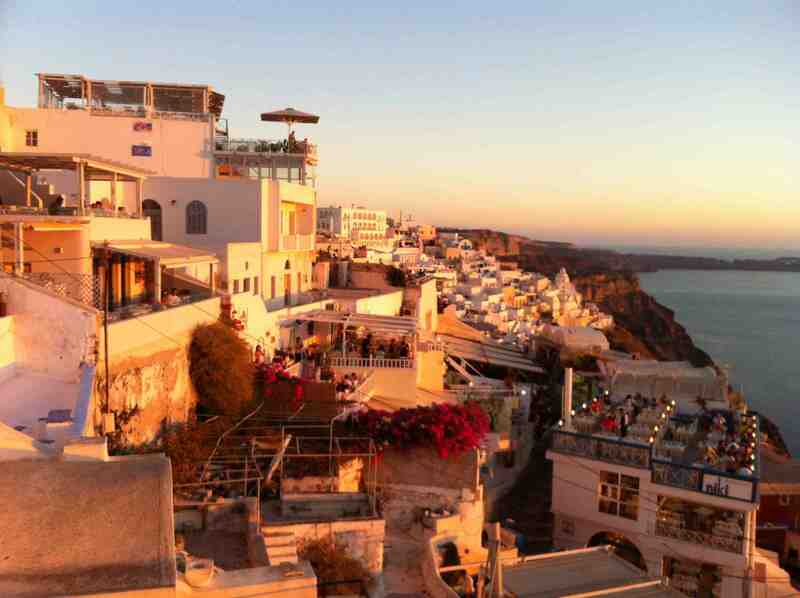 Unfortunately, that may be exactly what’s in store for visitors headed to the Greek islands. Locals there say they’ve had enough of debauched tourists who have been wreaking havoc in the otherwise beautiful and peaceful Mediterranean region. Their solution? Set up segregated tourist zones to keep the riffraff out.The drastic plan is under consideration after a recent spate of incidents involving bar brawls, rowdy behavior and the stabbing of a British teenager on the island of Crete. The Greek islands attract huge numbers of young pleasure-seekers who are eager to party, much to the unhappiness of locals. To get around the problem, they’re looking at establishing “tourist strips” far from town where foreigners can go wild without bothering anyone. If the Greeks do agree on the plan, it’ll be a sad day for travelers who actually want to experience everything the islands have to offer. Visiting a city that’s split in half — with locals on one side and tourists on another — is not really visiting the city at all. Think of the tourist strip in Cancun, which is nothing like the real Mexico, or Times Square in New York, which is far from representative of the Big Apple. Do we really want all of our travels to feel like a trip to the Vegas Strip? If we want to continue having authentic travel experiences, it’s time to step up and treat the locals and their way of life with respect. Nothing like catching your own food and eating it on vacation. Except for when you find out that your nightly catch is an extremely rare species. That’s what happened recently in Greece. While vacationing in the sunny southern European country, Labros Hydras captured an octopus while snorkeling, and not knowing that it happened to be an extremely rare hexapus, killed it and ended up preparing it for family dinner. For those not in the know, a hexapus is an octopus with six legs instead of eight. There is dispute on where the first one was sighted, but it was either in the early nineties or 2008. And now there would have been yet another, if it hadn’t been consumed for dinner instead. But when you have had a vacation tradition for years of catching your own seafood, should you be held responsible for your actions? Lesson: eating locally isn’t always the best policy.